FloraFlex® has engineered the highest quality, cleanest and most pH stable nutrients on the market. 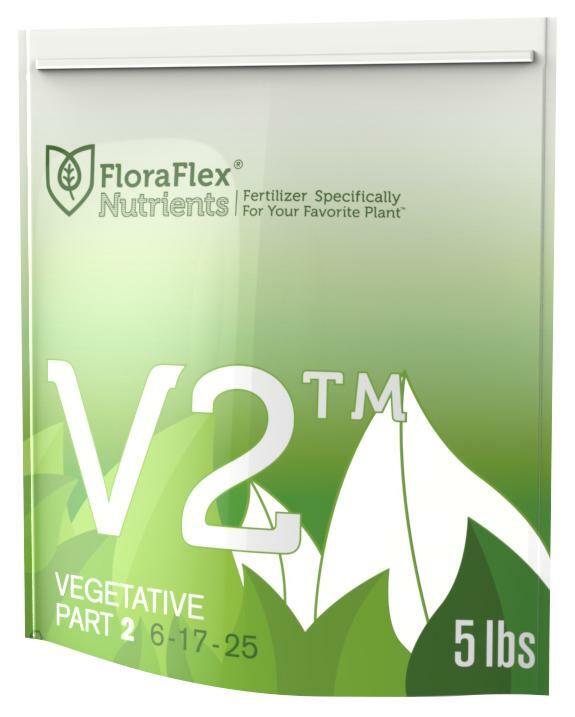 V1™ and V2™ combine as a two part water soluble formula, providing all of the essential nutrients needed for vigorous plant growth throughout the entire vegetative stage. Use 1-2 teaspoons per 5 gallons of water (1-2 grams per gallon). 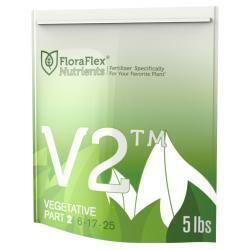 Add V1™ and then V2™ to your water source throughout the entire vegetative stage. 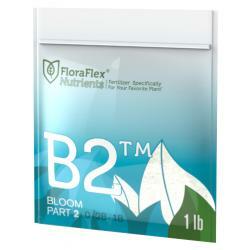 For optimal results make sure the EC of your water is 0.2-0.3. 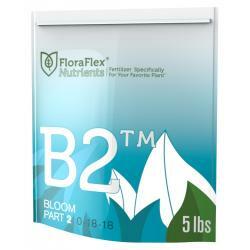 The EC of your water can range up to, but should not exceed 0.7. At lower dosages V1™ and V2™ can be used as a base along with other additives.